Washington home inspector training in a classroom by a board approved educational provider is required for individuals hoping to become licensed home inspectors in Washington state. Nonprofit Home Inspections has been approved by the Washington State Department of Licensing as one of the few authorized educational providers for Washington home inspector training. 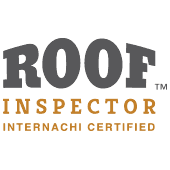 As educational partners with InterNACHI, the nation’s largest home inspector association, Nonprofit Home Inspections is able to help you fulfill the requirements to become a licensed home inspector in the State of Washington. There are a number of steps required to become a home inspector in Washington. To begin with, you are required to take a 120 hour, classroom based, board approved home inspector training course. 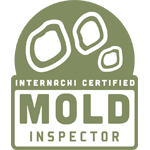 You must also have 40 hours of field training with a licensed and experienced home inspector. Nonprofit Home Inspections provides the required 120 hour “Fundamentals of Home Inspection” course, which is licensed by the State of Washington. In addition, we provide the 40 hours of required field training. Once you have completed our course, you will be eligible to sit for the national home inspector examination. Our course includes a significant amount of exam preparation and daily reinforcement in order to prepare you for successfully taking the exam. Upon passing your exam, you will then be able to send in your license application and payment in order to become a home inspector in Washington. Watch and learn. See how it's done. Make sure your instructor is a licensed home inspector in Washington. Hit the ground running and give outstanding home inspections. Give better inspections with advanced tools. 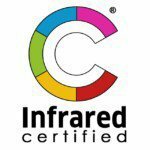 Introduction to thermal imaging, radon testing, blower door tests and more. We provide you with the tools to give better inspections for your clients. In addition to fulfilling the educational requirements for Washington home inspector training, students who complete our course will have earned the following certifications including the coveted designation a Certified Professional Inspector® or CPI®. This allows you to hit the ground running, providing your clients with a valuable service while distinguishing yourself from the competition. 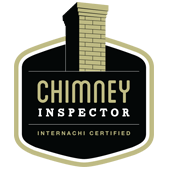 Our experienced instructors are also practicing home inspectors that want to help you provide a valuable service for your clients as they make some of the most important decisions in their lives. 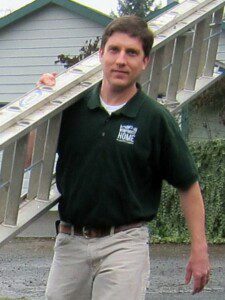 It’s a responsibility we take seriously in our training for Washington home inspectors, and a consideration that will help you become successful with minimal down time. In addition to fulfilling the training requirements to become a licensed home inspector in Washington, Nonprofit Home Inspections introduces students to cutting edge home inspection technology including thermal imaging, radon testing, mold testing, sewer scopes and more. Maximize your time while learning additional skills that will help you become an outstanding home inspector. Fulfill the educational requirements to become a home inspector in Washington. This fast tracked course is designed to maximize your time and to prepare you to start a career as a home inspector in Washington. Pricing is based on payment received by check. Add 3% to pay by credit card. 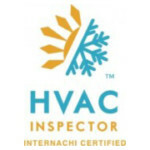 Field training on actual inspections to get you up to speed quickly. Forty hours of field training with an experienced and licensed home inspector is required for Washington home inspector applicants. 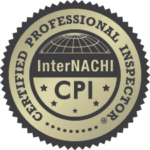 In addition to leveraging InterNACHI’s proven curriculum for your Washington home inspector training program, Nonprofit Home Inspections’ course offers you the following course benefits so that you can hit the ground running. 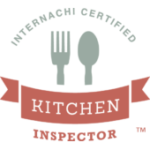 As a nonprofit organization, our goal is to help you provide the best services to our shared community. By introducing you to modern home inspection technology, you will have a firm footing for your entry into the home inspection industry. Good home inspections can save lives — we want you to be prepared to make a difference. Our course consists of both the two week long board approved “Fundamentals of Home Inspection” course and one week of field training that is required by the State of Washington. Because of government regulations, students using the GI Bill / Veterans’ Benefits must schedule for all three weeks in a row. Students not using the GI Bill / Veterans’ Benefits can sign up for only the two week long classroom course if they would like (but would need to obtain the field training elsewhere). Week 1 in the courses are Monday through Saturday, and Week 2 in the courses are Monday through Friday. The classes meet daily from 7:30am until 6:30pm. Field training is held during Week 3 Monday through Friday 9am to 5:30pm. Students using the GI Bill or Veterans’ Benefits are required to do field training the week immediately following the two week long class session (M-F, 9am – 5:30pm). Students who are not using the GI Bill or Veterans’ benefits are encouraged to do field training the week after classroom training, but other flexible times may be available. To register, please click on the “Register Now” button. A $500 deposit is required to hold your spot in the class. The balance of tuition is due on the first day of the class. Once you register, you will be sent information on how to register with InterNACHI for your 6 months free membership and will be given a course syllabus. When you register with InterNACHI, they will ask for a credit card number, but you can cancel prior to the end of your six month membership so that you don’t get charged anything. If the class you want is full, we can put you on the wait list. Just send us an email and let us know you are interested. Time remaining until next course. Sign up today! Nonprofit Home Inspections is an Education Provider (#389459) for the Washington State Department of Labor & Industries. We help the state retrain injured workers for new careers as licensed home inspectors. 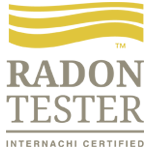 Nonprofit Home Inspections is an Education Provider for the Washington State Employment Security Department. We help the government by retraining unemployed Washington residents for new careers as licensed home inspectors. Our classrooms are located in our Vancouver offices located at 5501 NE 109th Ct, Ste F, Vancouver, WA 98862. Students should bring a laptop and / or tablet computer, headphones, lunch, snacks and note taking materials. What should I bring on field training? For field training, it is important to wear professional work clothes (shorts, t-shirts, etc. will not be allowed on site). A complete list of field training guidelines will be provided to each student prior to the start of class. How is your training different from other classes? 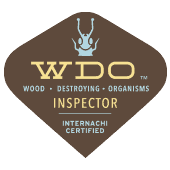 There are only a few companies licensed to provide board approved training for Washington state home inspectors. A lot of the online educational programs do not qualify for Washington because they have not been board approved and are not classroom based instruction. Our course leverages some of the best educational content available through our educational partner, InterNACHI, with our in-class live instruction. Our class introduces our students to cutting edge technology including the use of thermal imaging cameras, radon monitors, sewer scopes and more. Our comprehensive training helps home inspectors exceed the statutory minimum requirements for home inspections, helping to insure better home inspections for the general public. I don't have any construction experience. Will I pass the state exam? 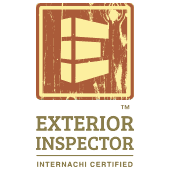 Construction experience is not required in order to become a licensed home inspector in Washington, but it is extremely helpful in preparing you to understand the terminology and building science associated with home inspections. If you have not had previous experience working with buildings, sign up for our classes well in advance and begin studying right away. Once you have registered, we will send you study materials you can access remotely so that you can hit the ground running when the state mandated 120 classroom instruction takes place. What does your course entail? 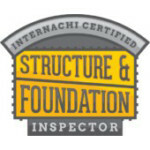 Our Washington state approved Fundamentals of Home Inspection course uses a combination of curriculum we have licensed from InterNACHI (the world’s largest home inspector association) and several hands on break out sessions that will introduce you to additional advanced home inspection concepts including thermal imaging, mold testing, radon testing and more. This structured curriculum combined with individual support as necessary helps prepare students to take the National Home Inspector Examination. I see some courses offered online. Why do I need to take a classroom based course? Washington state requires that you complete a 120 hour in-classroom course prior to even be permitted to sit for your state exam. Online only courses do not fulfill this requirement and will not allow you to take the state exam. When in doubt, contact the Washington state department of licensing to determine if the educational provider is licensed by the state of Washington to provide the required “Fundamentals of Home Inspection” course. 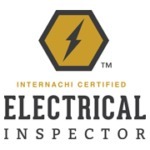 Our course with licensed curriculum from InterNACHI has been approved by the Washington state department of licensing for those wishing to become home inspectors in Washington state. The days in class seem long - how do students survive? We understand that working professionals can’t take 3 or 4 weeks off of work to take classes. 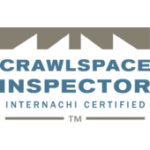 As such, we’ve compacted our training into two very solid weeks of instruction that fulfill Washington’s strict requirements for home inspector training. Because classroom instruction requires a lot of sitting, we have purchased extremely comfortable bonded leather Lazy Boy chairs for every student to use. We break up the sitting portion of class with actual home inspections in the area and hands on demonstrations. Our concentrated curriculum is the fastest and most effective way to jump start your career as a licensed home inspector in Washington state. Will taking your class guarantee that I'll be successful as a home inspector? Our class is focused on helping to prepare students to pass their home inspector exams and to give students a base of knowledge that they can use to start a career in the home inspection industry. Becoming a successful home inspector takes a significant amount of on-going education and effort. 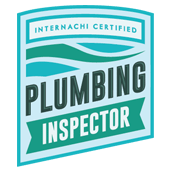 Through our partnership with InterNACHI, our students are able to access a number of additional advanced courses that far exceed the state’s minimum requirements for home inspectors. After passing their exams, new home inspectors should continually strive to increase their skill set by taking additional classes. Students should also consider working with additional small support groups that help start up successful small businesses. Can I only do field training or ride alongs and not take the home inspection class? Our field training opportunities and ride alongs build on concepts covered in class, so we are only able to conduct field training for individuals who are enrolled in our courses.